There are a ton of resources out there for anyone looking to get the most out of carrying a concealed handgun. 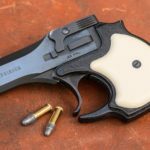 Reviews for the newest carry pistols, holsters, and gadgets are always popular, and there are plenty of training schools and shooting sports to help you hone your skills. We like all of that stuff as much as the next guy, but we also recognize that while it’s fun to talk about gear, training, and shooting techniques, it’s not always practical for everyone to immediately put that stuff into action. So if you’re not sitting on a ton of cash and free time, rather than tell you “tough luck”, we’re passing along a few easy, practical concealed carry tips that you can use now. These are the kind of seemingly obvious aspects of concealed carry that probably got a brief mention in your carry permit class, but you may not have given them any serious thought since then. So if time and money (or maybe winter weather) are keeping you away from the range, these reminders can still help you maximize the potential of your self-defense readiness. Check out our video below for an explanation and demonstration of today’s tips. The rest of the post provides some additional details and links to resources for further reading. If you carry a concealed handgun on a regular basis, it’s really important that you get lots of practice and training and that the handgun you’re carrying is quality, reliable firearm. Lot of people complain that stuff is time-consuming or expensive. So I’ve got a couple of quick tips for you today that can help you maximize the potential of your carry gun. And they don’t cost anything. And they take very little time. We’re going to do three today. And if you like this kind of thing, let me know and we’ll try to find more of them in the future. So number one is to just do a function check on your carry gun. What I mean by that is once a week or so, unload your carry gun, and point it in a safe direction, and just dry-fire it a few times. Work the slide. Or open the cylinder. Just check it out. What happens is a lot of us will go to the range on a regular basis, or fairly frequently. And we’ll shoot our full-size guns. But the carry guns get left behind. And we don’t shoot them that often. But we’re carrying them almost every day. So they can build up dirt, and grime, and sweat. Or all kinds of other stuff gets on the gun. And we don’t even notice. So the gun could be broken, or in a state that’s not fit to fire. And we wouldn’t even know because we’re not looking at it very often. So just function check your gun. Give it a once over. Give it a couple of drops of lube, even if you’re not going to clean it. And just make sure your gun is ready to fight. The last thing you want to do is have to use your gun to save your life and it doesn’t work, and not because it’s a crappy gun, but because you were negligent and didn’t maintain it. So function check is number one. Number two is to just think about where on your body you carry your gun, and how easily accessible it really is throughout the day in different situations. We usually will practise our draw stroke at the range when we’re standing up, facing the target. And that’s all well and good. But what about if we were sitting down, or if we were in a cramped elevator, or a cramped bathroom stall, or something like that? There are tons of scenarios we could be in where we couldn’t get to our gun quite as easily. What if you got knocked down on the ground? And there’s always going to be situations where you just won’t be able to get to it. But you want to mitigate that by just mentally going through the different types of situations you could get into and think, what if, and how could I get my gun if. And just fill in the blank with different scenarios and different situations that you’re likely to encounter. One thing that I’ve done, as a result of this, is when I’m driving, I put my seat belt on. I usually don’t have my shirt tucked in. So I will pull my shirt tail out from under the seat belt and lay it on top of the seat belt. And that way, if I have to draw my gun while I’m in the car, I’m not trying to pull the shirt from under the seat belt. I just lift my shirt tail. And my gun is right here on my hip. And so I can get to it fairly easily. That’s a really simple thing. But it’s something I would never have thought of if I hadn’t just gone through those different scenarios mentally and taken the time to do that. It’s not very time-consuming. But it’s really important. So accessibility’s number two. 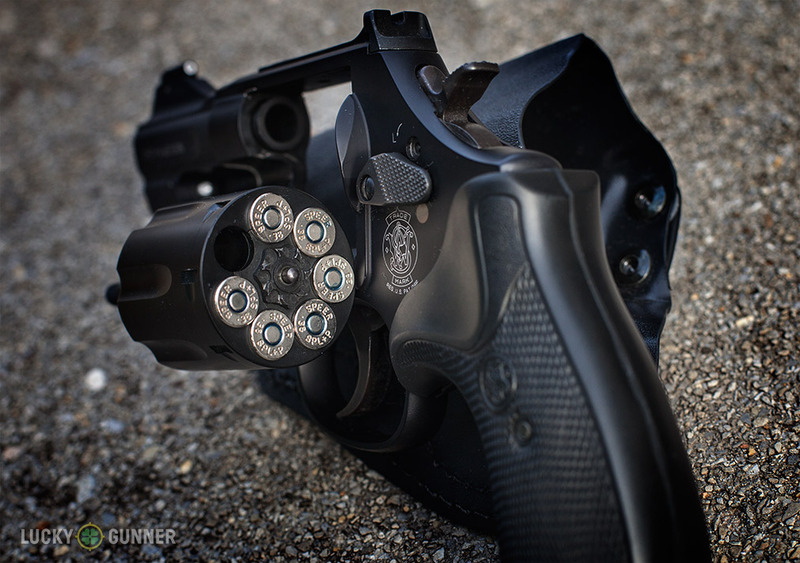 Number three is to maximize the potential capacity of your carry gun. A lot of our carry guns are fairly small, or have a small capacity of six, seven, eight rounds. Don’t sell yourself short by leaving out that extra round that you can get in the chamber. It might seem obvious. But it’s something that a lot of people skip just because of the few extra seconds it takes. So when you’re loading you’re gun in the morning, or whenever you put it on to carry it, just put in the full mag. Chamber the round. And then take the extra few seconds to take out the magazine, put the gun down, and top off the magazine so you get that one extra round. It might not seem like a lot. But if you’re only carrying eight rounds to begin with, having nine might make a difference. If you have to use your gun to save your life, you want every possible advantage you can get. So don’t sell yourself short by just skipping over that one extra step that takes a few minutes. If you want to make it even easier on yourself, use what we call a Barney mag. And that’s where you just take a second magazine that you only have one round loaded into it. You load that first to get the round into the chamber. And then you put your full mag in after that. That way, you’re not having to try and top off a full magazine with a really tight spring in it. That’s just one extra little thing you can do to maximize the capability of your carry gun. All right, that’s all the concealed carry tips I have for today. If you’ve got anything to add, or if you want to see more of these in the future, let us know in the comments. The video shows how to do a quick function check of your carry gun every week, but just in case you’re wondering “is this really necessary?”, take a look at this post from a few weeks ago. The revolver shown there had been carried around for days even though it was completely non-functional. The problem was internal, and would only have been made apparent by attempting to fire or dry-fire the gun. There are also plenty of reported cases of carry guns with corrosion damage from sweat, or pocket lint that could obstruct the action or barrel of a carry gun. Even if your gun handles the neglect with no ill effects, what about the holster? A worn out holster may not hold the gun securely, or could even cause an accidental discharge. 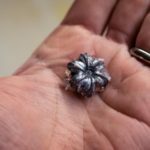 Ammo isn’t safe from wear and tear, either. A round that is repeatedly chambered and cleared day after day will start to exhibit problems, too. Check for bullet setback and deformation of the rim and case body. There are plenty of resources online if you need a checklist for inspecting your carry gun’s basic mechanical function. Add to any of these lists a simple visual inspection of the firearm’s exterior to spot-check for dirt, debris, corrosion, or broken parts. It doesn’t take much to develop a fairly quick but comprehensive inspection routine. Performing this check regularly will reveal the vast majority of issues that could potentially disable your gun at the worst possible moment. If you ever have to defend yourself, there’s a really good chance you won’t see the danger coming, and will have literally just one or two seconds to react. What happens if you’re taken off guard, and need to draw your gun while quickly backing away from an attacker, pushed up against a wall, knocked to the ground, or sitting in a cramped booth at a restaurant? Does the draw stroke that you practice at the range from a relaxed standing position still work in these scenarios? How accessible would your gun be if an attacker’s first move was to step out from behind a parked car and shove you to the ground while you’re carrying an armful of grocery bags? These are the kind of situations when we’re most vulnerable and look like easy targets, so they’re the first kind of situations to consider when contemplating the viability of a given concealed carry method. 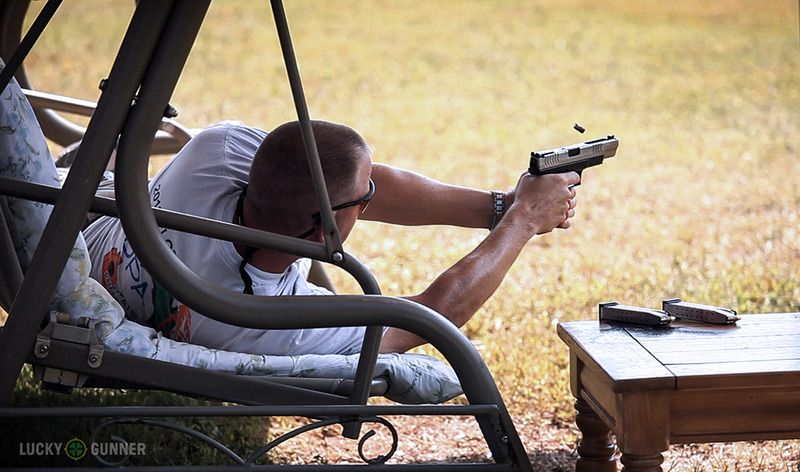 Action pistol competition is an excellent way to become exposed to unconventional shooting positions. This stage at the 2012 IDPA Nationals required competitiors to fire at targets while laying down on a swing. One of the best ways to counter the disadvantage of this kind of vulnerability is through practicing the draw stroke from various unconventional positions on a regular basis, both at the range and through dry-fire drills. But even if that’s too time consuming for you, at the very least you can spend some mental energy on contemplating the different body positions you might end up in when you have to draw. I’m not suggesting you allow your everyday life to be consumed by contemplating every possible “what if” that comes to mind, because you’ll never be able to plan for every contingency. On the other hand, if you spend the majority of the day sitting down, for example, and your carry gun is in a holster behind your hip that you can’t reach when you’re in a chair, maybe it’s time to think about how you might work around that. Oftentimes, a solution is as simple as changing the direction you face your chair, but it could also mean a complete re-thinking of your carry method and gear. It just depends on your specific situation. The important point is to at least give a little thought to the “what ifs” to uncover the most obvious flaws in your self-defense plans. There’s always more you can do to become better prepared, but this mental exercise requires very little effort compared to the potential benefits of the “I never thought of that!” moments. Most people I talk to who carry every day seem to favor carrying a small gun the majority of the time. They may occasionally pack something like a Glock 19 or a 1911, but more common are sub-compact, single-stack semi-autos. With such limited capacity available in these guns, it’s really surprising to hear that many of these folks don’t top off their magazines after loading their gun for carry. If you’re stuck with only seven or eight rounds in the magazine, it just makes sense to endure the few extra seconds it takes to eject the magazine after you load the chamber, and fill the mag back up to full capacity to give you that +1 in your low-capacity pistol. Carrying a semi-auto without topping off the magazine makes about as much sense as leaving an empty chamber in a modern double-action revolver. The best stats we have available suggest that, regardless of caliber, an average of 2-3 handgun rounds to a vital area are required to incapacitate an attacker. On top of that, it’s estimated that most people are only about 50% as accurate under the stress of combat as they are on the range. And that’s one of the more optimistic figures you’ll run into. So let’s suppose the magazine in your pistol has a six-round capacity and you don’t bother topping it off after you chamber a round. If you’re attacked and It takes three shots to stop the bad guy, you’re leaving exactly zero room for a “below average” kind of day for marksmanship. Oh yeah, and what if there are two bad guys? I know not everyone can or will always carry a gun with higher capacity. I personally carry small guns sometimes myself. But it’s a calculated risk, and I know I’m making a compromise by doing so in order to carry a gun I can effectively and comfortably conceal. I certainly don’t want to compromise any further by failing to load the one extra round my gun can hold just because I couldn’t spare the extra second or two. Loading the extra round doesn’t cost anything in comfort or concealability — all I lose is a little time. There is simply no logic to the mentality that says, “I can’t conceal a gun with a 15 round mag, so I might as well just stick this 7-rounder in my gun and be done with it”. Eight is still a lot less than 15, but it might be the one extra round that makes all the difference in the world. One quick word of caution: This is all assuming that your gun does not exhibit any reliability issues when loaded to +1 capacity. Make sure you test this at the range, and don’t carry +1 if it causes your pistol to experience any malfunctions that it would not have otherwise. Any Concealed Carry Tips We Missed? Have you been carrying a while and have some other strategies that are both free/cheap and quick to implement? If so, sound off in the comments below, and maybe we’ll mention it in a future post.